Renew your New Mexico mortgage license the easy way! No books or special software, everything you need is right here! You don't need books, CDs, or special software. If you can read this, you have everything you need to get started! Our courses are delivered online and course materials are available in printer friendly formats. Your learning materials and exams are all delivered through your web browser. You will be able to access your account from any computer with an internet connection. The OnlineEd system is compatible with all major browsers and operating systems. 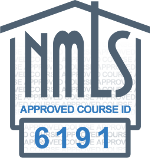 Our program has been rigerously reviewed and approved by the NMLS for continuing education credit. Our program has been rigorously reviewed, approved, and authorized for continuing education credit by the Nationwide Mortgage Licensing System (NMLS). Our 8-hour continuing education course meets the NMLS course guidelines for continuing education credit. The 1-hour New Mexico state-specific course will review the New Mexico Mortgage Loan Origination Licensing Act and the powers of the Director of the Financial Institutions Division. Our courses at OnlineEd are written by OnlineEd. Because of this, we save on overhead licensing costs and can pass those savings on to you. Take the standard NMLS 7-hour required courses, the 1-hour New Mexico course, or both combined in our 8-hour New Mexico continuing education course. Our mortgage continuing education courses are available in several convenient packages, for those who need all or only some of the required New Mexico courses. We have a 7-hour Originator Fundamentals course and a state-required 1-hour Home Loan Protection Act course, or have them packaged together in our 8-hour New Mexico MLO Continuing Education course. Get the New Mexico NMLS Mortgage CE package that's right for you. You need to be registered with the NMLS before you can earn continuing education credits. If you do not have an NMLS ID number and need to obtain one, create one using the instructions available at the NMLS Resource Center. MLOs are required to take a minimum of 8 hours of continuing education every year, with 1 hour of included New Mexico-specific course content. In New Mexico, MLOs are required to take 8 hours of continuing education credits including 1 hour of New Mexico-specific course content. If you are licensed in other states, please check with each state to learn if you need to take additional credit hours. See this handy PDF for details. Our 8-hour New Mexico MLO Continuing Education package covers all of the courses required for continuing education in New Mexico. We also offer the 1-hour NM SAFE: Mortgage Loan Originator Licensing Act as a stand-alone course for those who only need to fulfill the 1-hour New Mexico requirement. Once you have completed the course, OnlineEd will notify the NMLS of your continuing education credit hours. Need AML, BSA, and SARs training? Our InlineEd Compliance Management System provides an all-in-one system for mortgage compliance. Click here to learn more. If you need help with managing the expanding set of mortgage compliance requirements and to conform with Consumer Financial Protection Bureau (CFPB) regulations (and their random compliance audits), our InlineEd system can solve your compliance recordkeeping headaches.